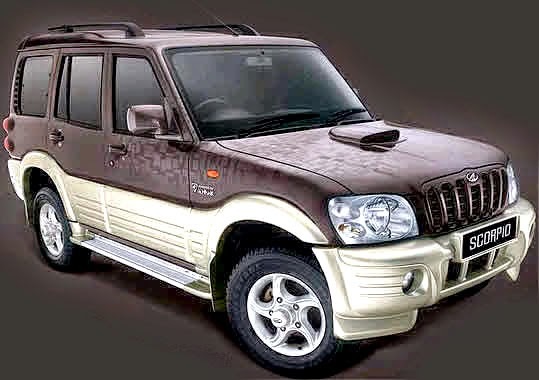 Mahindra Scorpio- Since its launch in 2002, Scorpio has been an extremely popular and successful SUV in the Indian market. It has undergone various upgrades and advancements in terms of technology to retain its market share and the admiration of buyers. It comes in variants ranging from 7.8 lakhs to 13.5 lakhs. It has a tough, masculine exterior with interiors featuring fire resistant upholstery, seating that conforms to body pressure points and a host of anti-theft features. At its heart it has the powerful mHawk2.2L 4-cylinder diesel engine and revolutionary micro-hybrid technology. It is now the first BS IV car that follows the strict emission norms. Mahindra Bolero-This SUV was first launched in India in August 2000. It has been the bestselling SUV for years. It is extremely popular in rural markets because of its extraordinary off-roading capabilities and power-packed 2523 m2DiCR engine. It comes in both BS III and BS IV complying models which makes it fuel efficient and environment friendly. Bolero has an extremely aggressive looking exterior design, more do with the new hawk-eye headlights. Interiors spell style and class with technologies like digital display, child lock, voice messaging systems and power windows. Bolero falls in the price range of Rs. 5.6 to 7.8 lakhs. Mahindra XUV500-First manufactured in 2011, XUV500 has garnered much appreciation for its international styling and top-notch gadgetry. This beast runs on a 2.2-litre, 140bhp, mHawk diesel engine similar to Mahindra Scorpio. Mahindra recently showcased a Hybrid version of this SUV which will be highly fuel efficient.The exterior looks of it has been styled inspired by cheetah and comes loaded with high-end features like touchscreen entertainment system and fully automatic air conditioning. The interiors are tastefully done with rich and elite materials. Mahindra XUV500 spells comfort, performance, modernity and convenience.Price for this stylish SUV ranges from 12 to 15 lakh. Mahindra Thar- Carrying the looks of a classic jeep, Mahindra Thar is made to stand on any kind of terrain. It was launched in India in 2010 after tasting success in foreign markets. Mahindra TharCRDe is powered by a 2.5L engine. It happens to be the first BS IV CRDe diesel engine. It is meant to be an adventure vehicle and uses LSVP brakes to prevent loss of control and great shock absorbing capabilities. For those who love retro styling, Mahindra Thar is a perfect vehicle with its signature jeep headlights, sturdy body, rectangular front glass and removable top. It has minimalistic and raw-looking interiors retaining the classic feel. Seating is comfortable with ample legroom. It comes in a price range of 4.8 lakhs to 7.3 lakh. Apart from these stunning SUVs Mahindra also hosts models like Mahindra Quanto, Mahindra Rexton and Mahindra Kryon. Mahindra is committed to excellence and has delivered a range of successful SUVs with various technological advancements for Indian markets and continues to do so. For more details about cars & bikes logon to autoportal.com & bikeportal.in.